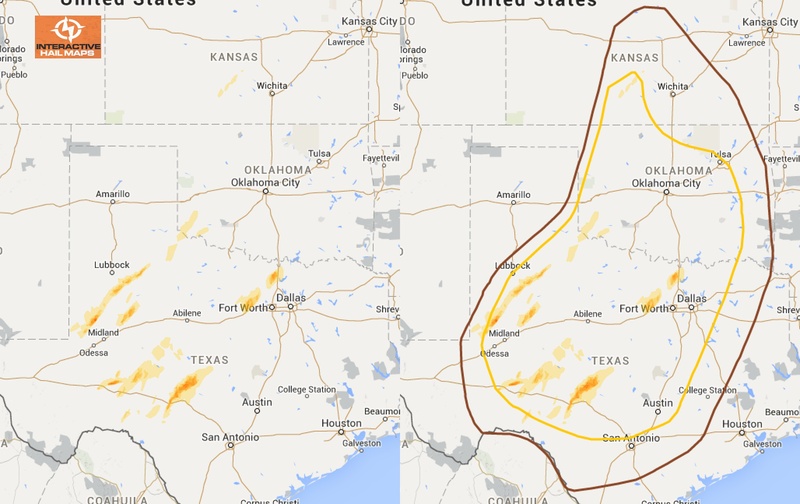 Brown = 5% probability of hail 1″ or larger within 25 miles of a point. Yellow = 15% probability of hail 1″ or larger within 25 miles of a point. It’s always a good thing to see when the Storm Prediction Center is predicting hail on the East Coast, and especially in the Carolinas. Even better when they get it right! And they are on a roll – predicting a generous 15% zone covering the most populated areas of North Carolina, plus northern South Carolina for good measure. 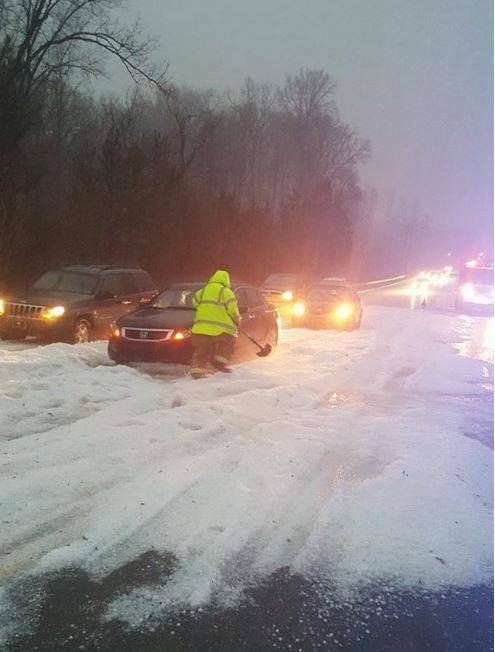 All in, there was a pretty decent amount of populated areas that were smoked – check out the photo below where a traffic lane is blocked by hail accumulation!